Divide your property into management zones helping you keep track of multiple pieces of equipment at-a-glance. Our soil moisture sensor irrigation technology makes it possible. 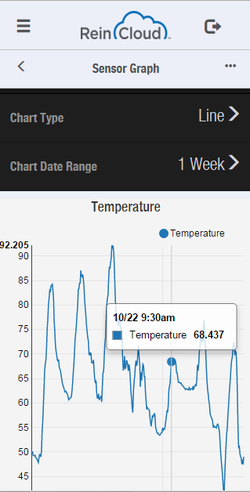 ​﻿When you need to take a look at what is going on with your operation, the smart irrigation controller dashboard will give you information at-a-glance. You can also quickly view irrigation system status, weather, sensor data and irrigation controls, making it easy to make on-the-go decisions. Share your data when you want to and with who you want to. It's your data anyway. Partnering with the best ag-based hardware companies around, the following ReinCloud Ready™ products are ready for you. Let's keep in touch. ​Subscribe to our newsletter.